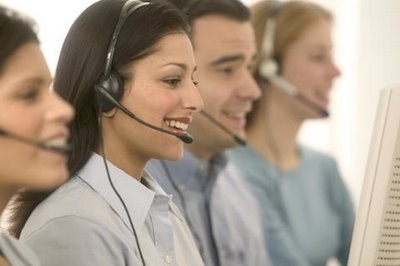 Convert calls into inbound telemarketing sales with our friendly, skilled staff. No matter the response vehicle: catalogs, direct mail, DRTV, emails, faxes, print, radio, text messages, voicemail and websites. Get more results from every inbound call with savvy cross-selling and upselling telemarketing. Turn prospects into buyers and leads into sales by having Duke TeleServices handle your B2C and B2B outbound telemarketing. Call customers and prospects to sell products and services, generate and qualify leads, prompt them to visit stores and showrooms and set appointments. Give existing buyers heads-up on hot deals. Turn outbound customer care calls into outbound telemarketing calls by cross-selling/upselling targeted offers. Make the business in B2B happen. Rely on us for your inbound telemarketing and outbound telemarketing sales, order taking, lead generation and qualification, appointment settings, conference and seminar registration and followup calls. Many consumers love to buy through inbound and outbound telemarketing. Our well-trained agents identify when customers are ready to purchase. They answer hidden objections and look for cross-selling and upselling telemarketing opportunities. Also, by adhering to the Do Not Call List, we make sure that those consumers who don't like telemarketing are not bothered with unwanted contacts. Let us make your Telemarketing program work!!! !